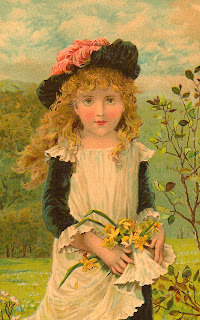 This is a beautiful Victorian scrap of a girl holding an apron full of yellow Daffodil Flowers. I love the abundance of greens in this image! Enjoy!